Sizes Available: 75x75 / 120x80. Complete your home with this absolute statement piece. Hand finished in the UK and custom sizes are available, along side our set sizes. This piece also has cluster crystals in the skull design. encased in glitter liquid glass. 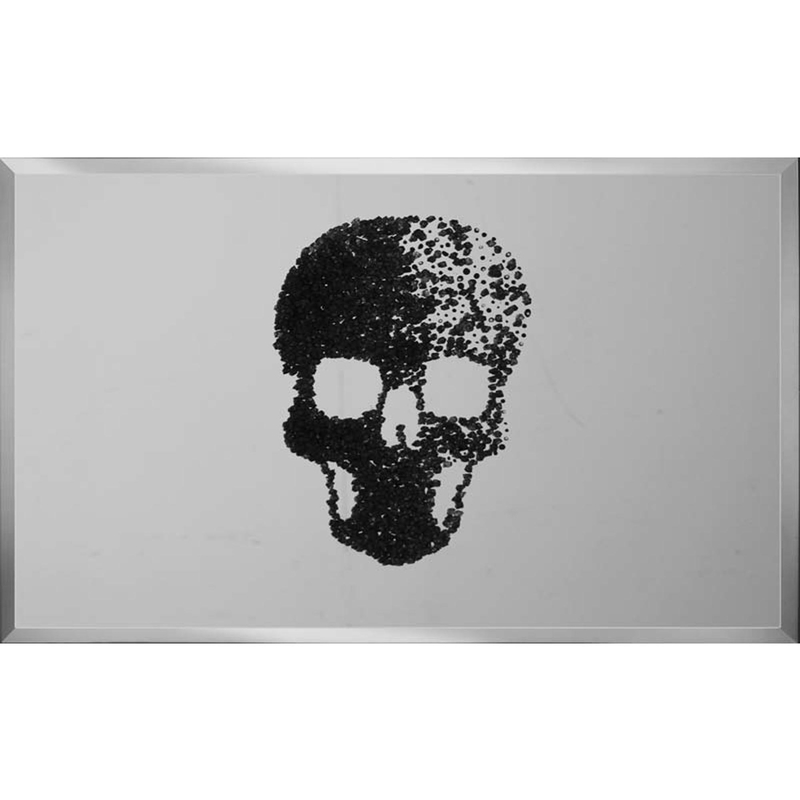 So although this piece has the edgy skull side it will 100% still give you a glamorous and chic style in your home. You wont be disappointing in this product.